I’m a sucker for adorable baby clothes and toys. There’s something irresistible about teeny, tiny little mittens and socks. And I’m a huge fan of the best organic baby brands and organic baby products. Picking out baby clothes is one of the very best parts of having a new baby in your life. My little ones are now past the baby stage (see my tips from an older mom), but every so often a family member or friend has a baby, and I get to indulge my love of all little baby things. 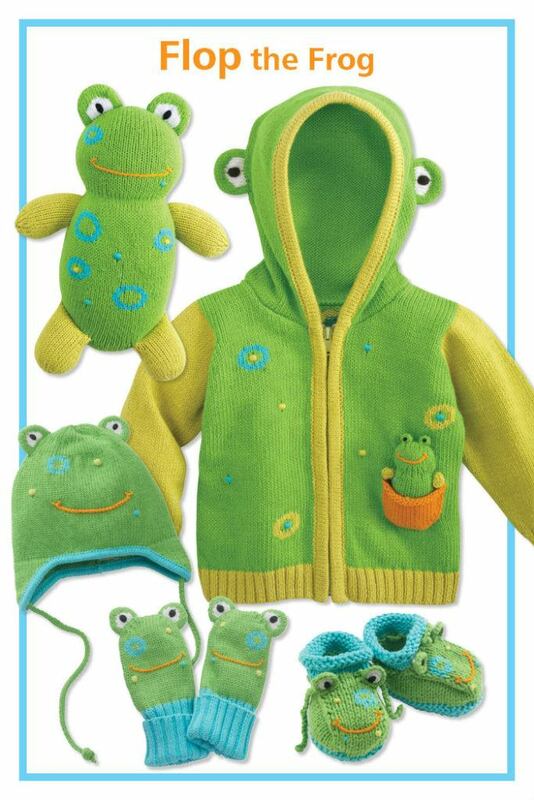 As I was looking for some cute new baby outfits as a gift, I came across these absolutely adorable organic stuffed animals and baby clothes from a company called Joobles. 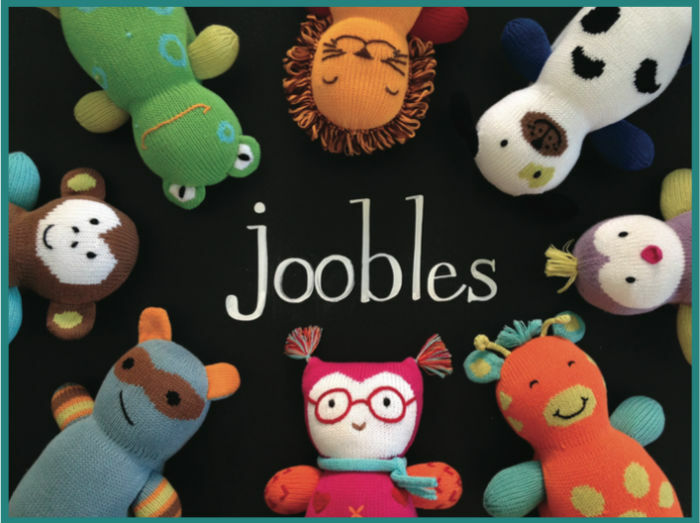 The 12 characters in the Joobles collection cute are soft and fluffy stuffed animals and matching accessories in fun shapes and colors. Even better, they’re fair trade and ethically made from eco-friendly materials. The Joobles are designed and offered online by Fair Indigo, a retailer long appreciated by customers for their wide range of excellent clothing products and toys. Their items, including the Joobles are made with the best sense of fashion and creativity. Click here to see all the Joobles characters. They’re so cute! The characters in the Jooble collection, such as Cutie, the Lamb, Pip, the Dog, Mel, the Monkey and many others come not only in the form of perfectly sized, pastel-colored soft stuffed animals. 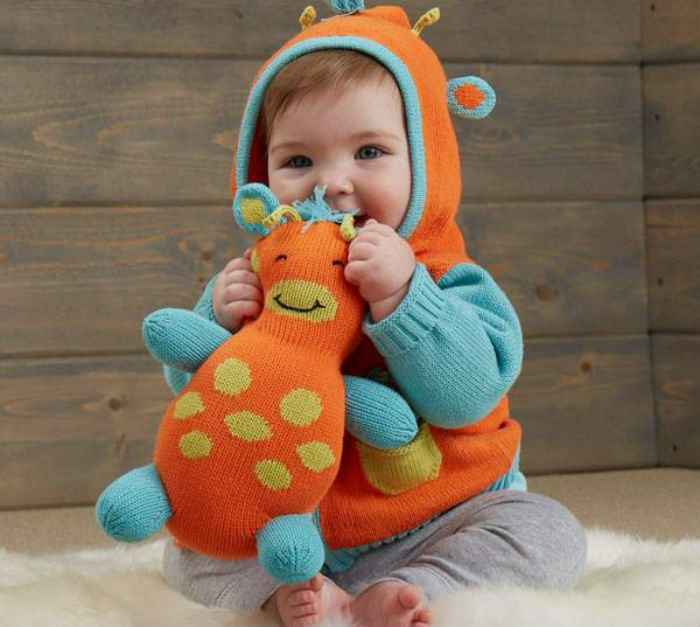 Each character is featured on cardigan sweaters, baby booties, earflap caps and baby mittens as well, all of them soft and very cute, so that babies can enjoy their favorite characters on clothing items as well. Fair Indigo products, especially the Joobles, are much more than a cute set of animal characters on baby clothes and toys. They are also created with safety in mind and manufactured from organic materials, with methods promoting fair trade. The items are hand-knit by small knitting cooperatives in Peru from non-GMO organic cotton that comes from family farms and colored using Oeko-tex certified, completely baby-safe dyes. If you choose Jooble characters for baby, you will choose a brand with values, a brand that wishes to help others. 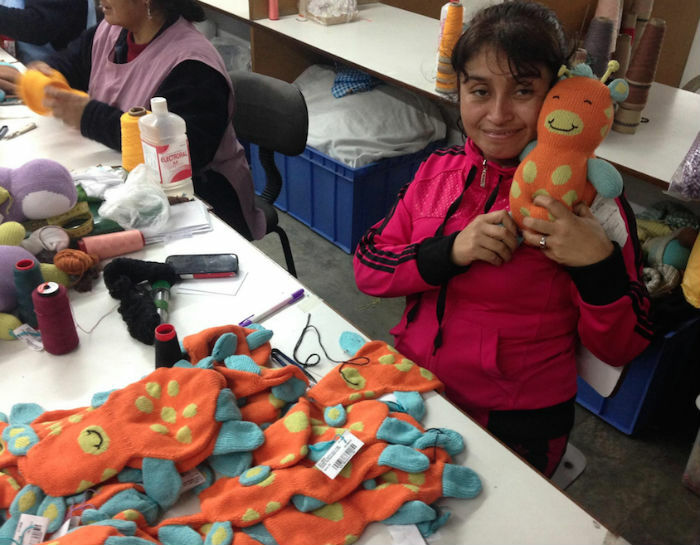 Sales from the Jooble collection are used to benefit education institutions in the cooperative communities in Peru. 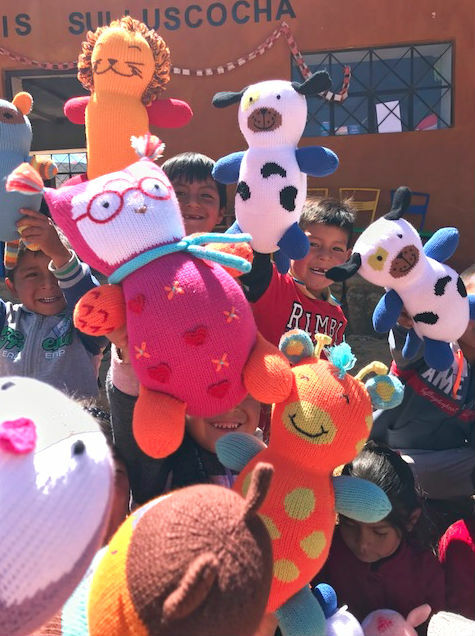 While the cuddly toys and accessories will delight baby, they will also contribute to the creation of a better future for Peruvian kids. The collection is loved and appreciated not only by babies and their environment-conscious parents, but also by prestigious non-profit organizations that promote ethical consumerism. Joobles apparel has recently received Green America’s People and the Planet Award, the highest appreciation offered by the organization. Whichever high-quality, fun Jooble character or collection you choose, with these items baby will have much more than a wonderfully cuddly and safe toy or a fashionable and cute piece of garment. 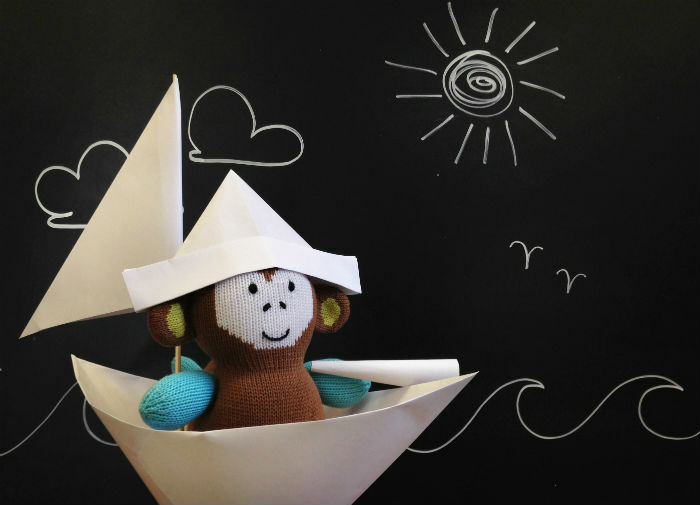 All Jooble items come with an important story of development as well as the desire to provide safe joy for babies and to protect Planet Earth. The Joobles retail for $25.90 for the stuffed animals. Click here to see the Joobles characters and pricing. You can find out more on their website at www.fairindigo.com/the-joobles and on Instagram. You can find Fair Indigo on Facebook and Twitter. This article was sponsored by Joobles, but all opinions are 100% our own.